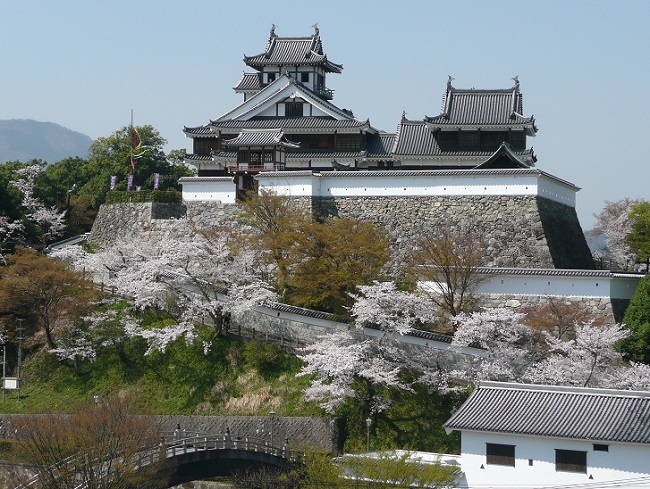 Fukuchi Mountain Castle is located in Fukuchiyama City, Kyoto. It was the residence of Fukuchiyama Clan during Edo Era. 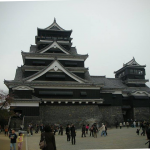 It is said that the castle was built by [Shiomi Yorikatsu] at [Kakiage Castle]. 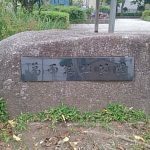 The current territory was done by [Akechi Mitsuhide], Mr. Oda’s Samurai. Oda Nobunaga suppressed Kinai during Sengoku Era, ordered Toyotomi Hideyoshi to advance to Sanyo Patch and ordered Akechi Mitsuhide to advance to Sanin Patch. 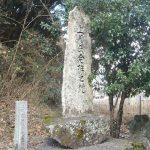 Tensho 6 year (1578), Akechi Mitsuhide accepted Oda Nobunaga’s order and started to suppress Tanba. This was opposed by Akai Naomasa•Hatano Hideharu etc. At that time, Mr. Shiomi’s master [Nobusata] was involved in the allied army of Akai Naomasa and Hatano Hideharu. The allied army of Akai Naomasa and Hatano Hideharu was called [Akai Called Army] and they defeated Akechi Mitsuhide by using great strategy. 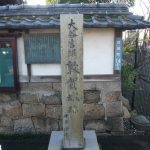 However, in March Tensho 6 year (1578), Akai naomasa died. 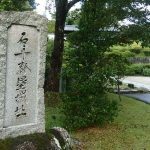 In June the next year Tensho 7 year (1579), the residence of [Hatano Hideharu] Yakami Castle was defeated, and the residence of Akai Naomasa Kuroi Castle was also defeated in August the same year. 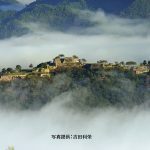 From this, Tanba Country attack was further advanced, and in August the same year, the vassal of Mr. Akechi [Caturmahārājika-deva Masaharu] [Hayashihan Siro] [Yashima Keibu] [Kutsuki Kyube] [Kaeda Yaemon] and others attacked Yokoyama Castle of Mr. Shiomi. Shiomi Nobusata and his younger brother Nobukatsu desperately defended, however being overnumbered, they ended up with failure and killed themselves. 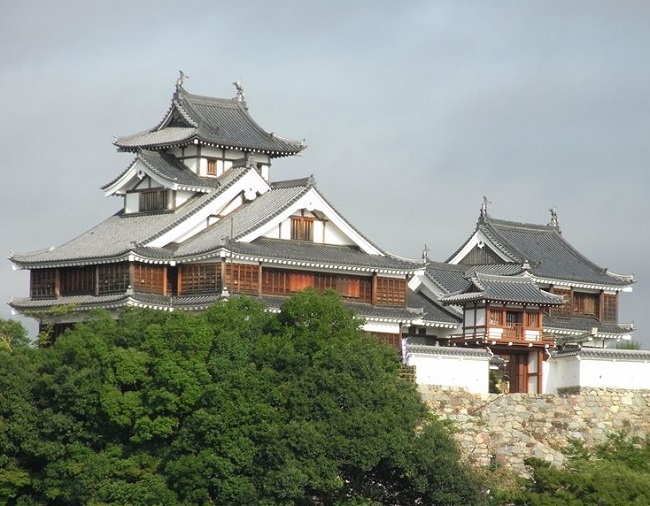 People of Fukuyama they all surrendered to Akechi Mitsuhide and Fukuchi Castle was settled. 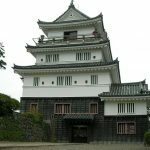 Akechi Mitsuhide built Fukuchi Mountain Castle, and appointed his son-in-law Akechi Hidemitsu as the castle owner. In June Tensho 10 year (1582), Mitsuhide successfully defeated Oda Nobunaga. 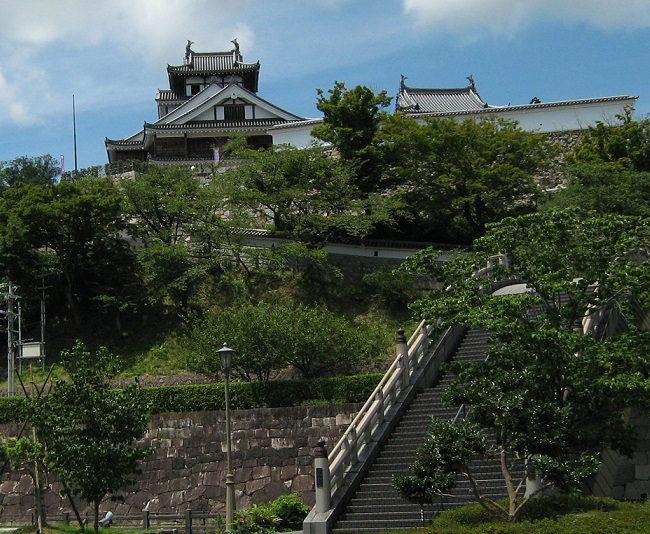 Although he won at [Honno Temple Chaos], he was defeated by Hashiba Hideyoshi and escapted to Sakamoto Castle in Mie. Mitsuhide planned to recover but he was attacked on the way to Sakamoto. 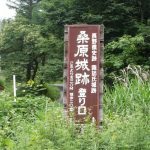 On the other hand, Hidemitsu’s father was the castle officer of Fukuchi Mountain Castle, and it fell down by Hashiba’s army. 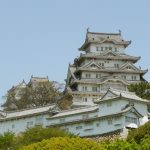 After that, Fukuchi Mountain Castle was the ruled by Toyotomi Hidekatus, and later gave to Sugihara Ietsugu but he died soon. After that, [Onogi Shigekatsu] was the castle owner. After Toyotomi Hideyoshi died, Onogi Shigekatsu belonged to the West Army at the Battle of Sekigahara in 1600, attacked Tanabe Castle of Hosokawa Yusai who belonged to the East. 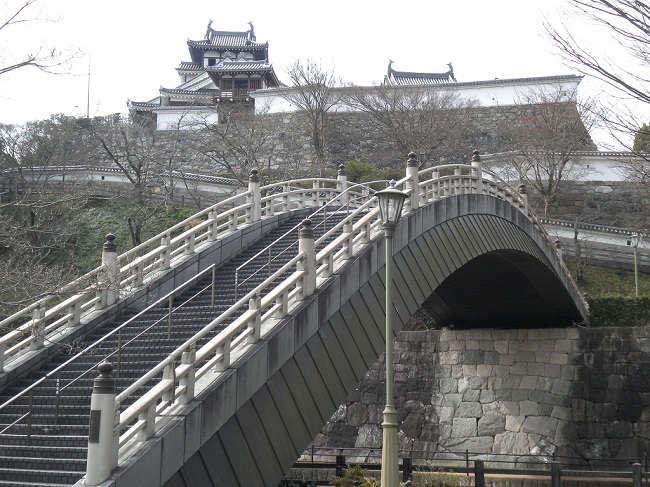 Hosokawa Yusai desperately defended Tanabe Castle and as a result, they signed alliance. 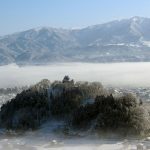 After won the Battle of Sekigahara, Hosokawa Yusai attacked Onogi Shigekatsu of Fukuchi Mountain Castle and the castle fell down. Shigekatsu killed himself. 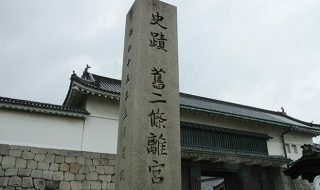 Arima Toyoji was awarded because of his military award at the Battle of Sekigahara, and he entered Fukuchi Mountain Castle and ruled this area. 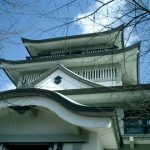 Arima Toyoji greatly renovated Fukuchi Mountain Castle. 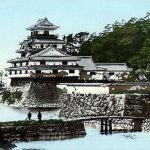 Genwa 6 year (1620), Arima Toyoji was transferred to Kurume Clan and Genwa 7 year (1621), Okabe Nagamori entered Kameyama Castle. 3 years later, [Okabe Nagamori] was also transferred to Ougaki Clan and Inaba Norimichi entered from Nakashima Clan. Inaba Norimichi was also replaced in Keian 1 year (1648). Mr. Matsudaira was transferred to Shimahara Clan 20 years later. In June Kanbun 9 year (1669), Kutsuki Tanemasa entered and it was ruled by Mr. Kutsuki for 13 generations until Meiji 2 year (1869). 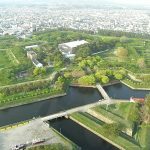 Fukuchi Mountain Castle Park is built, Showa 61 year (1986), the big Tenshu and 2 small tenshus were repaired. An information pavilion is also built.